New York City based Compass, a real estate platform helps people find not just their home, but the neighborhood that best fits their personality and needs. It inspired me to share our house story! Every purchase or rental agreement involves a story of how that house or apartment came to be your home. Our latest home purchase was a little bit of knowing what we wanted and a little bit leap of faith. I didn’t actually see our house until a year after we purchased it. We were relocating back to Connecticut from Southern California and the logistics of seeing the house just didn’t align….and I really wanted this house. 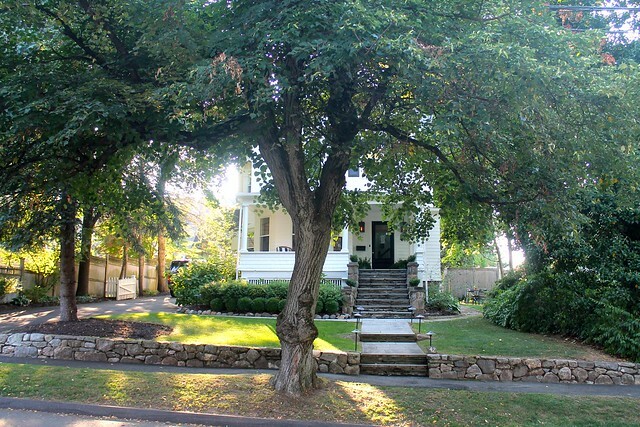 It was in the neighborhood we wanted, walking distance to town, enough bedrooms and baths and it had a front porch. We have lived in several houses. Fifteen. Some for years and others for just a matter of months while we renovated another or during a long distance move. But in every house we have made sure that the entryway is welcoming. I use Edison style bulbs for a nice warm glow in the lanterns and write different messages on the glass door with a water-based Sharpie paint pen. Your entryway is the first impression that people have when visiting. I hope mine says, come on in…..the door is always open! my porch is dismal .. much attention is needed! Annie, I love your front yard and porch and the invitation that the door is always open for friends! How great to see the house from the street. Everything you create is inviting. 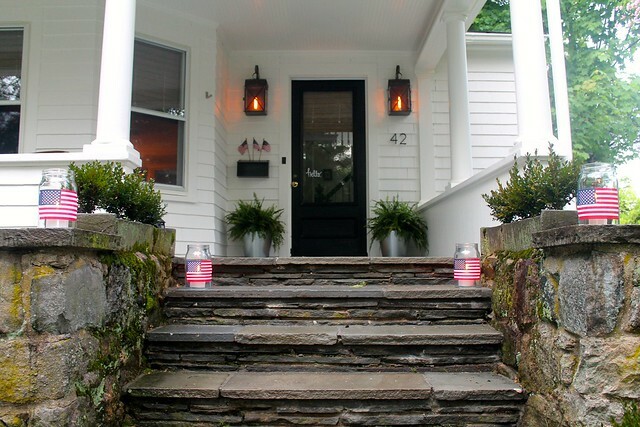 One of my very favorite front porches! And yes, you definitely have made your home welcoming AND beautiful! 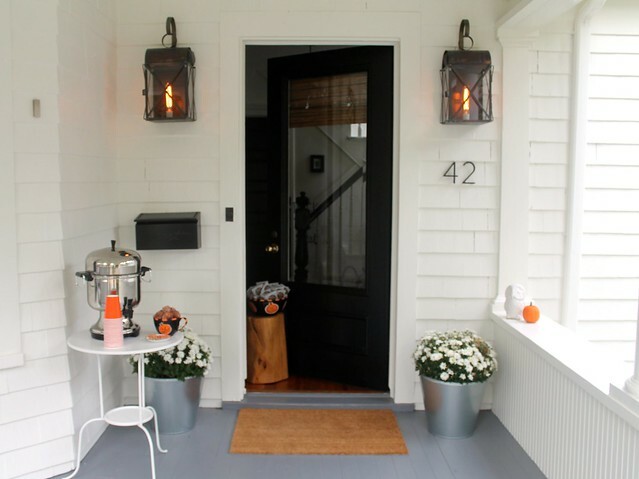 I want a front porch…but this is inspiring me to decorate our elevator landing! 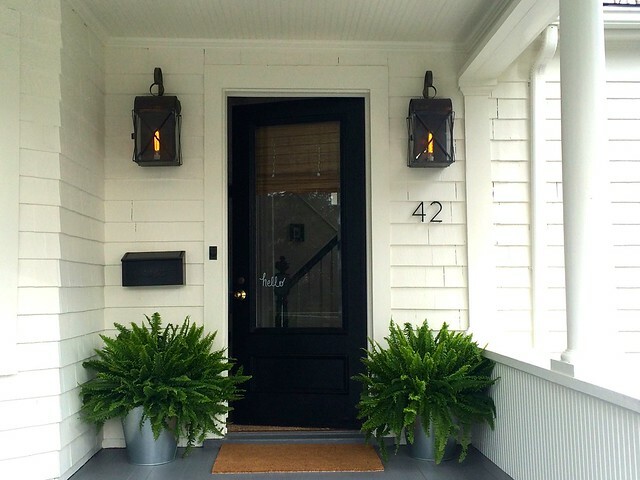 Your front porch and front door, are so inviting and beautifully done! I like the idea of the Edison bulbs, and the way you change the décor of what greets one when they walk to your front door. Thanks for the huge dose of inspiration this morning. Your porch and door are always so inviting. 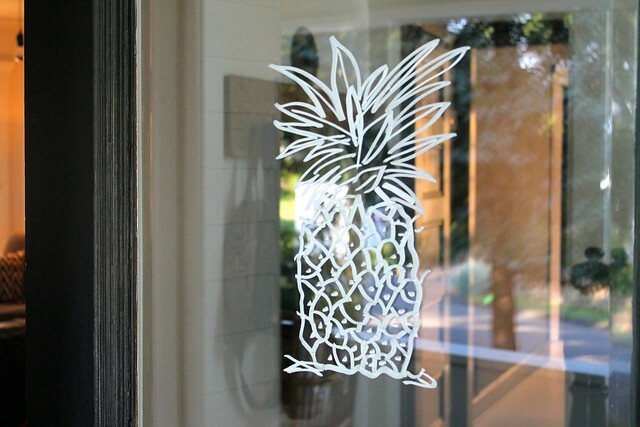 I love leaving the love on the door but I confess I never thought of the pineapple! So cute and so clever! beautiful ideas! I love how clean and symmetrical the design is, but still very inviting. I love your home in every season… always welcoming! 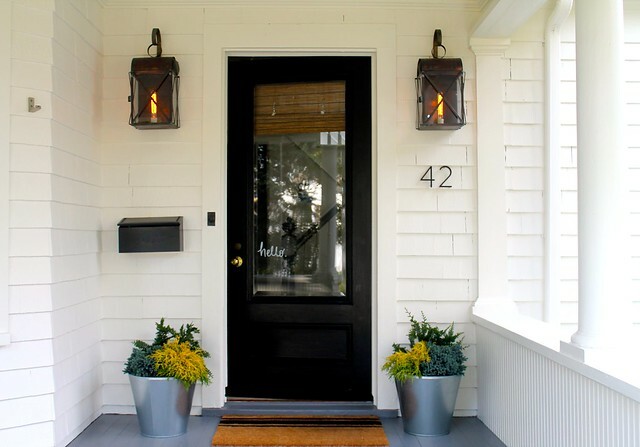 Where are your porch lights from? Our house was built in 1900 and the lights appear to be very old. Unfortunately I have no history on them. Have you looked at Bevolo lanterns? They are all copper and beautifully made. We had them on our California house.